I was 26 years old when I was pregnant with my first child. I had my first ultrasound on a Friday, spent the weekend proudly showing off the fuzzy black and white pictures of my sweet baby. On Monday night I was settled on the couch with my typical pizza, watching tv. My phone rang at about 8pm but I didn’t answer it, figured I’d listen to the message and return call if it was important. It was important. My ob/gyn had called (on vacation, I might add). Figuring it wasn’t a ‘wish you were here’ call, I dialed her number both frantically and apprehensively. With pen in hand, I numbly wrote down what she was saying …severely defected heart…more tests…very serious… on my pizza box. I stopped her when I had heard enough and said I needed to get someone over with me, I was alone…and that was not a good thing. Thankfully my mom still lived in town and I called her and bawled incoherently, and as a mom would, she came right over. I remember very little about that night except tears….lots and lots of tears. We were sent over to BC Women’s Hospital to be tested by and talk to, top doctors. It was mentioned, several times, that I should strongly consider terminating my pregnancy. No matter how many times I heard it, I never entertained the thought…this was my baby, for better or worse. We sat down with a nurse who talked to us about our options…transplant was pretty much the only one at that point, if we decided to carry on with pregnancy. So we were told the good, bad and ugly of that route. I’d say it was more bad and ugly than good…so many more tears fell. Ultrasounds became the norm. I had an albums worth of ‘baby pictures’ before my baby was even born. As the fetus grew and the heart became clearer, so did the defects…there were more. Essentially, of the several she had, THREE of them were very rare. There had never been a known case of such a defected heart…it was basically non-functioning. Thankfully in pregnancy the mother provides the heart while in utero… however, once born it would be a different story. It was determined that I was to be sent to Toronto’s Hospital for Sick Children to have my baby assessed by their top doctors and a plan be made, because, despite them still asking, I was still adamantly against terminating my pregnancy. A few things weighed heavily on my already weighed-down mind. The name of the hospital BROKE my heart… ‘sick children’ made it all too real. Toronto? Alone? Dealing with this…ALONE?? How in the World would I be able to afford it? I couldn’t ask family or friends to support me and my unborn child for an undetermined amount of time…no matter how much they all love me…it wasn’t viable. It was mentioned to me to contact the David Foster Foundation. I had heard of David Foster and of his Foundation. He’d had a big celebrity softball tournament in the 80’s, I’d grown up with a souvenir flag on my windowsill…but I had no idea what the Foundation did. I soon discovered, and what the Foundation does is nothing short of a Miracle. Without it and it’s amazing help, I would not have been able to live in Toronto and subsequently await the birth of my child, a heart and then stay for recovery. The outcome of my journey was not one that was expected. Originally, I was going to be put up in Toronto’s Ronald McDonald House. I was uncomfortable with the idea because I wasn’t expected to become a family. And the thought of having to be brave on that level was too much for me. I told my concerns to the director of family relations at DFF who then took a request to the board for approval. So graciously, without any flaming hoops for me to jump through, the board agreed to put me up in an apartment located 5 blocks from hospital. I didn’t have to worry about anything but myself and my baby while we stayed in Toronto. The Foundation knew the importance of our journey and wanted it to make it as gentle as it could be by releasing the burden and pressures of day to day living expenses. Every minute I had and continue to have with Evanne, I owe to the David Foster Foundation. Plain and simple. I arrived in Toronto, August 23, 2004…very pregnant and very scared. My uncle came from Ottawa to pick me up and get me ‘settled’ in my downtown apartment. I had come with one suitcase (that the Foundation had paid for). I had been filled with so very little hope that I packed lightly, expecting to return home shortly, empty handed and broken-hearted. I remember putting the suitcase in the closet and not unpacking for days, despite the 2 dressers in the bedroom. I don’t recall which appointment was first, the ob/gyn at Mt. Sinai or the ‘team’ at Toronto’s HSC. The hospitals are located across the street from each other and both were about 4 blocks from my apartment. I was so emotionally shut down by this point, I barely recall those early days. Snippets stick with me though…like when the assistant doing my u/s at the doctor’s asked if I would bury my baby in Toronto or fly her back home. The team at Sick Kids was large. They quickly became my ‘family’ and both informed me and comforted me. Helped me to hope for the best and prepare for the worst. After several tests, it was determined that IF a heart transplant was going to be an option, my baby would have to be listed in utero, and when/if a heart was available, I would have a c-section. There was a fight between the two hospitals for the birthing plan. My baby was in such grave danger that HSC wanted the delivery to be done over there. Mt. 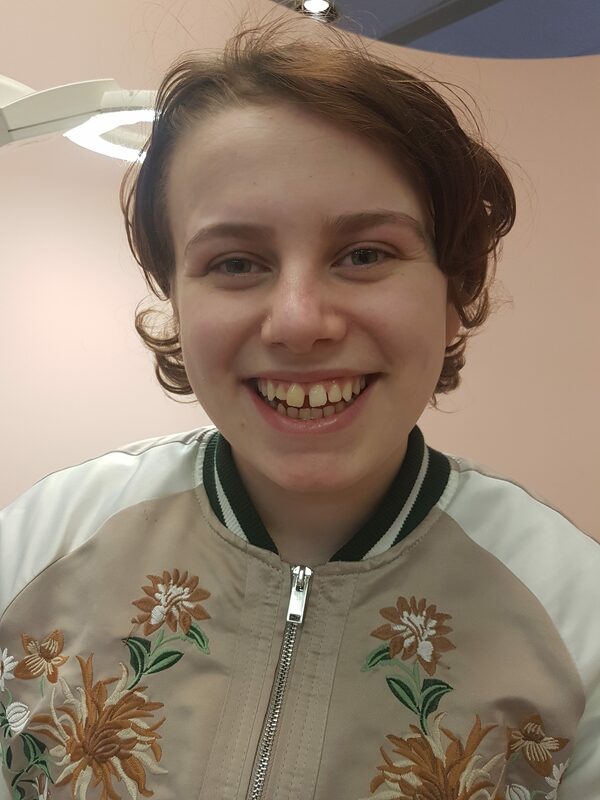 Sinai cared about MY well-being and was refusing to let that happen…I cared so little about myself at that time I wanted what was best for my daughter. The 2 hospitals are connected by underground tunnel, eventually both sides came to an agreement and a birthing plan was made. I had to carry a thick stack of papers with me wherever I went, in case ‘the call’ came in or I went into labour, whichever came first. The doctors were going to try and keep me overdue as long as possible to extend the chance for a heart to become available. My due date was Sept. 30. I remember that day being the first time in months I had been able to relax…what were the chances of a heart coming available or me going into labour on her due date? Never let your guard down…Labour commenced shortly after midnight, Oct.1st. My mom had come out as soon as we were listed for a heart b/c naïve me assumed (or feared) a heart would come quickly after listing. So the 2 of us sat there, counting contractions…which were still really far apart, but not far enough apart for me, I was NOT ready for this. When they did start getting closer I would skip over some, not tell my mom about them in hopes of postponing the inevitable. This went on all day. Around 11pm Oct.1st I couldn’t put it off any longer. They wanted me in when contractions were between 5-10 mins apart, so off we went. My care there was phenomenal. The staff all knew my situation and did everything they could to keep me comfortable and in ‘good’ spirits. As soon as it became difficult to talk during a contraction my nurse ordered an epidural. It was a pretty well known fact that without a heart my baby wouldn’t make it. They didn’t want my experience to be any more traumatic that it was sure to be. Aside from the pain removal, I was so grateful for the epidural. It gave me the opportunity to spend what was sure to be the last moments of my daughter’s life, in gentle peace with her. Every sweet movement of an arm or a leg put a smile on my face. She’d beaten the odds; she’d made it to term. I was so proud of her! When she was ready to come, she was ready… I was not! The doctors said it was time and I had to go deliver her…I was pleading for a nap, anything…I wanted to see her, but I just wasn’t ready. They wheeled me down to delivery and after 20 mins of extremely peaceful labour (THEY told ME when I was having a contraction!) 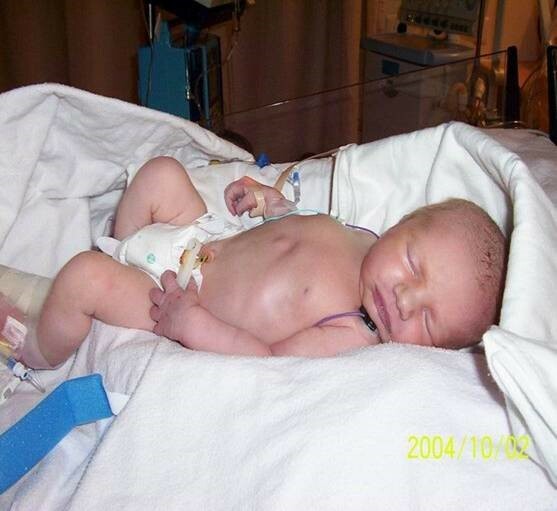 at 2:33pm, Oct.2 2004, Evanne Rae Fisher came into this world SO beautifully. They raised her up, my mom took a quick picture, cut the umbilical chord and off she went to be assessed and saved…. I heard her cry in the next room and was so relieved…she was still alive!! Yes it had only been mere seconds since she left the room, but she had been given a 100% mortality chance…and she was ALIVE. The doctor tended to me as we waited for the go ahead. I was going to be wheeled next door to say goodbye as she was whisked underground to HSC. So many needles had touched my baby before I had…so many pokes on that wee 7lb 7oz body. My heart ACHED. There aren’t words sufficient enough to express the amount of love I felt for Evanne at that moment. She grabbed my finger and wouldn’t let go as the wheeled her away. Gut wrenching pain watching your first born be whisked away, taken to another hospital, and you are left not knowing how to cope. I bawled, I wailed. I had stifled my emotions so many months ago, figuring tears wouldn’t help my situation. This was a complete release of everything I had held in. the sorrow I felt was like nothing Id ever experienced. I had no idea what to expect and didn’t know what I should prepare myself for. I hadn’t even bought a baby outfit ‘in good faith’ because I was not expecting her to make it. Now that she was making it…there was no way I could lose her. Six hours later I was finally able to go over and see Evanne. She was stable. Stable!! My mom wheeled me over through the tunnel. I couldn’t walk but I wanted to run. Those minutes were the longest. There were tubes and wires connected to her sweetness and I noticed two things, 1. she was incredibly beautiful and 2. She wasn’t on life support…and yet, she had life…? The nurses began filling me in. 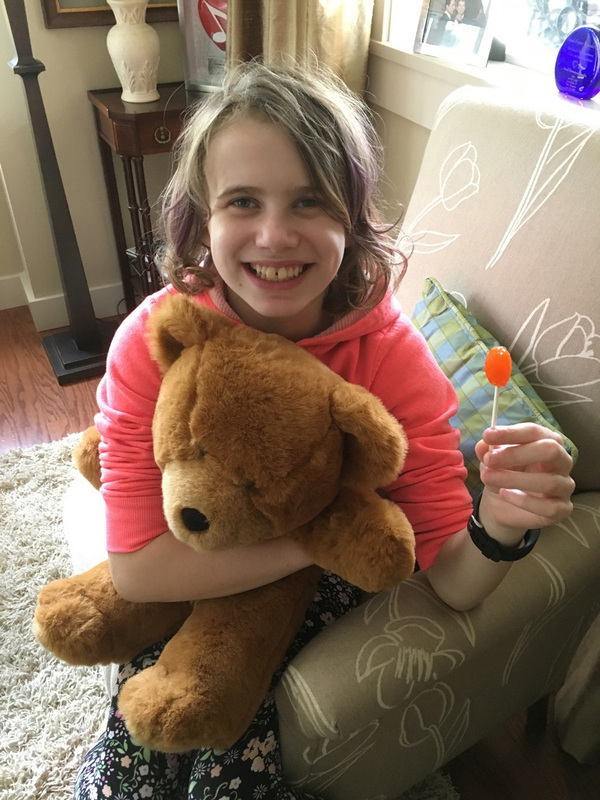 They too were a bit surprised at her condition and were running frequent blood test to try and get answers…but with Evanne doing ‘so well’ they weren’t really questioning. I had arrived just in time for a bed sheet change. The nurse asked if I would like to hold her while she did that and my heart skipped a beat…I was finally getting the chance to hold my sweet miracle. My arms had ached for her and when she was placed ever so gingerly in them, I felt absolutely complete. The days that followed were a complete roller coaster ride. I had basically set up camp at Evanne’s bedside. Her stability was unstable. Medication that was supposed to do one thing would do another. She kept the doctors on their toes and left them scratching their heads and I was constantly given updates full of medical terms that seemed like a secret language. I did my very best to give Evanne some normalcy. I bought lullaby cd’s that played softly on repeat in hopes of masking the abrupt sounds of the constant alarms. Instead of the rough bland hospital blankets, I used pink, cheerful receiving blankets…earning Evanne the nickname of ‘Pink Princess’ among the staff. I put stickers on all her IV’s because she had so many lines she couldn’t wear clothes so I decorated as best as I could! My baby was fighting to live and I was going to celebrate that. No matter what, she was still my baby girl! Her struggle became hard to ignore. Evanne had begun to have a really hard time breathing and they told me she needed to be intubated, take over her breathing, in order to help her out. I was devastated. I broke down, assuming that meant the worse. And how was I going to handle seeing my sweet baby attached to a breathing machine… Every day had its share of ups and downs; this was a down that I feared would keep spiraling. The days that followed were such juxtaposition, sheer bliss for having the most beautiful baby girl alive, to utter heartbreak watching that same baby slip slowly away. The constant blood work, the unknown infections, transfusions were needed, I lost count after 7. Her other organs were shutting down in order to protect the most vital, her brain and her heart. 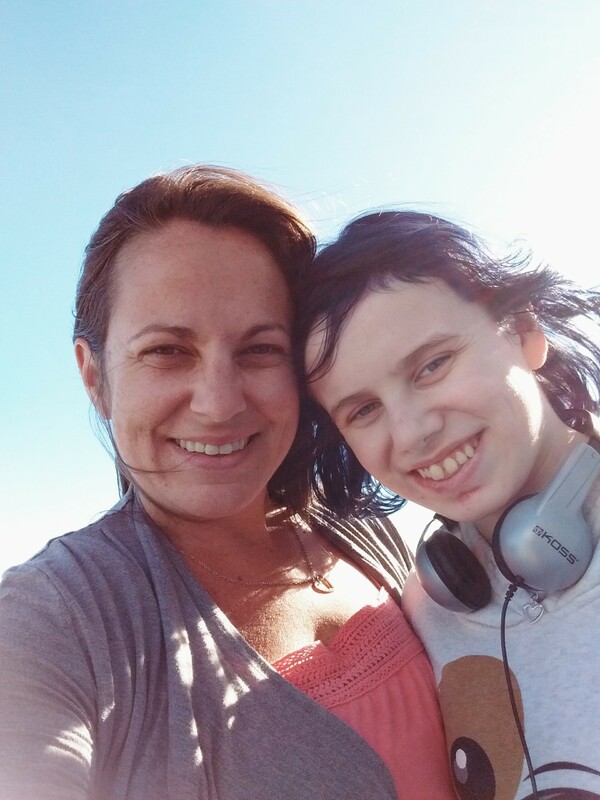 Evanne’s fight was getting harder and I felt like the worst mom for asking her to keep fighting…but I couldn’t ask her to stop. She was so frail and fragile laying there. Every limb had an IV line attached to it, and each line had several medicines pumping into her sweet little body, keeping her alive. It was heart breaking but I refused to give up hope. They decided to try a very risky, very rare (it had only been done once previous) open heart surgery, to try and keep Evanne alive longer, in hopes a heart would finally come available. 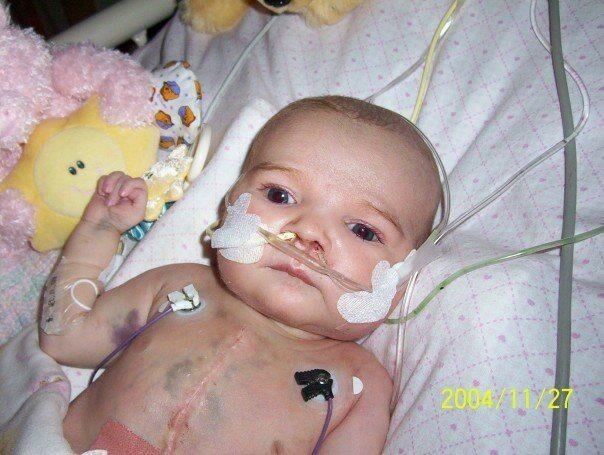 It had been almost 4 weeks since she’d been born, 9 weeks since she was listed for a heart. And 22 weeks since I was told my baby would never make it. I was beyond grateful for every minute I’d had with Evanne, but so selfishly wanted more. When the dr. came by to get my consent and give me the risks involved, the first sentence out of his mouth was “Your child might die”. The words were spoken so matter-as-fact and so certain that I almost felt as though I had to accept that… as if we had no choice and the ‘might’ was put in for pity. We had been saying all along to do anything it takes to keep Evanne alive…but if that ‘anything’ would be the thing that took her from us, would it be worth it? As a mom, it was an excruciating decision. On October 29th, Evanne was wheeled down to the O.R. I wore my bravest face for her, telling her the whole time she was going to be okay and we’d be together again soon. Every top doctor in the field was there to do their job. I knew my baby was in incredible hands and I had completely faith, I hoped. After several anxious hours waiting in the surgical waiting room, the 2 cardiologists appeared in the door way and summoned me out. EVERY other doctor that had come to update parents went to the parent. My heart plummeted when the made me go to them. The head cardiologist’s surgical cap was glued to his head in sweat and I literally felt the colour drain from me when I saw there completely stoic faces…where was the encouraging smile? The first words this time, “We probably shouldn’t have done that” nearly knocked me to my knees. It was followed up with the fact that she was alive, just not well…at all. When I went in to see Evanne, she was on what a Doctor referred to as, ‘a soup’ of medicine. Her frail body was covered in wires, connected to too many machines and tubes. They struggled to get Evanne stable as her heart was so complex and full of medical unknowns. Everything became even more of a guessing game. My mom and I sat in rocking chairs at the foot of her bed, her doctor on a stool beside her, all night long. There was constant blood work, medicine changes, and adjustments, all in hopes of gaining stability. Evanne was sick and struggling hard. The doctors had said, if a heart were to come up, she was too sick to receive it. Evanne needed to make a turn around, and soon. As I sat by her beside I talked non-stop of my hopes and dreams for her. I thanked her immensely for her courage and strength and told her how grateful I was for the incredible fight she was putting up. As her momma, it was so hard to sit back and watch this sweet, innocent baby fighting such a hard battle. As I encouraged Evanne to keep her fight going, I also let her know that if she needed to let go, I would support her, as heart wrenching as it would be. Miraculously, once again, Evanne battled on, she became stable and turned the corner she so desperately needed to. On Evanne’s one month ‘Birthday’ the nurses threw a mini party. They had a clown come and sing to Evanne, they gave presents and basically celebrated this little miracle that was! As hard as the road was, she was still travelling, and we were all so proud! It would be hours before the actual operation. The doctor told me to get some rest. Not possible. I made the phone calls and got ready to go sit with my miracle. The word was being spread, the blanket of love was spreading. I needed to go be with Evanne and celebrate her. Normally when I got to the hospital I rushed through to the Cardiac Critical Care Unit, this time I didn’t. I stopped into the waiting room and just sat. Every word we had heard about transplant was blaring in my head. I couldn’t believe what was about to transpire. I was so beyond grateful for the milestones that had already been achieved, this was surreal. The benefits; the risks; everything, kept me questioning if I had made the right decision. Then it hit me…I hadn’t made the decision, Evanne had. She fought stubbornly against every barrier put in her way and it wasn’t in vain. This girl wanted to be here as much as we all wanted her here! I walked down to CCCU with my heart bursting with pride and a smile from ear to ear. Everyone knew of the pending transplant and the floor was full of congratulations. Dreams were coming true.